I thought it would be fair to all of you who have downloaded my work, commented in my threads and generally supported me over the years for me to express with sadness what I am about to say. For the past 3 years I have created animals, skins, and other projects by myself as well as with Penguinman and Artifex for the Zoo Tycoon 2 franchise. It is with a heavy heart that I announce I will not be creating for the game for the foreseeable future. I'll be helping where I can to complete the Island Excursions expansion by Artifex, but for my other projects I will not be visiting them for the foreseeable future. I wanted to let you all know this because I know how many other creators have up and left you wondering where they went :) I didn't want you to think I all just forgot about you. I have been trying to get back into the swing of things, but I just simply can't. The spark is gone for me, and it makes me sad to even say that. I also wanted to let you know this because it was because of all of the amazing comments you all left, the understanding for the times I didn't post, the requests that drove me to do some of my work, and the hundreds of you who have enjoyed playing with your animals a little more because of the variants that you let adorn your zoos. (And for the youtube videos I stumble across every once in a while that shows off a Penguika, Artifex, or Mikaboshi product, makes me smile uncontrollably everytime!) I wanted to give one last huge thanks because it really was because of all of you that I kept designing. There would have been no fun in it for me if you all hadn't expressed how much you enjoyed them from the start! I will lurk around every once in a while still, but obviously how much I've been around lately is a testament to how often that might be :P I look forward to stopping in and seeing everything you've done and how much you've grown. Everyone here at the DC has talent, and you've all shown that over the years, no matter how old you are or what your skills were at the start, you CAN be an artist and you CAN make some amazing content for a game that you can share with the world. Thank you all SO much! And thanks for understanding how hard it is for me to retire and have to write this. Welcome to the home of Mika's variants! Here you will find a collection of the various animal variants and reskins I have done for Microsoft and Blue Fang's Zoo Tycoon 2 franchise, as well as some animals and more. To get started, please select from the left sidebar the game which you would like to see variants for. I have a few from each expansion pack. For instructions on how to make these work, please visit Installation Instructions. Enjoy! Love animals as much as I do, and want to help? 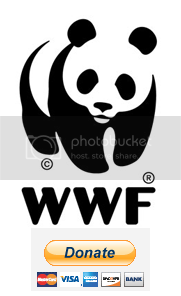 Consider donating to the WorldWildlife Fund. Visit the Donate tab on the left for more information. Chase is giving away 1 million of dollars to a lucky organization. I'm trying to get as many people to help with getting Big Cat Rescue, Corp (website is http://www.bigcatrescue.org/), who is currently in the finalist, at number 19. Help Big Cat Rescue care for its 100+ exotic cat inhabitants with just a click! It does require facebook.